Transforming You from the Inside Out! I was quite excited to see the headline online that Boden are planning to expand by opening some shops across the UK. I only hope that they're not just going to be based in London which is the case with some other clothing shops that I really love. I'm on a mission to transform people with an Inner and Outer Makeover. 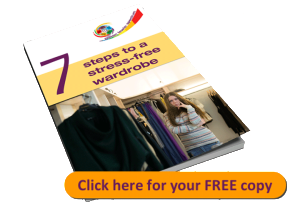 Does your wardrobe stress you out? Have your “Colours Done” for FREE! Does comparing yourself affect your confidence? What would you like to find today?